Michelle has co-authored two books focused on what inspires and drives her to success - Discover Your Inspiration, an international best seller on Amazon, Rock Your Life, and Women Who Rock 2. She has been acclaimed for motivating readers to realize their dreams and live a passionate fulfilling life. 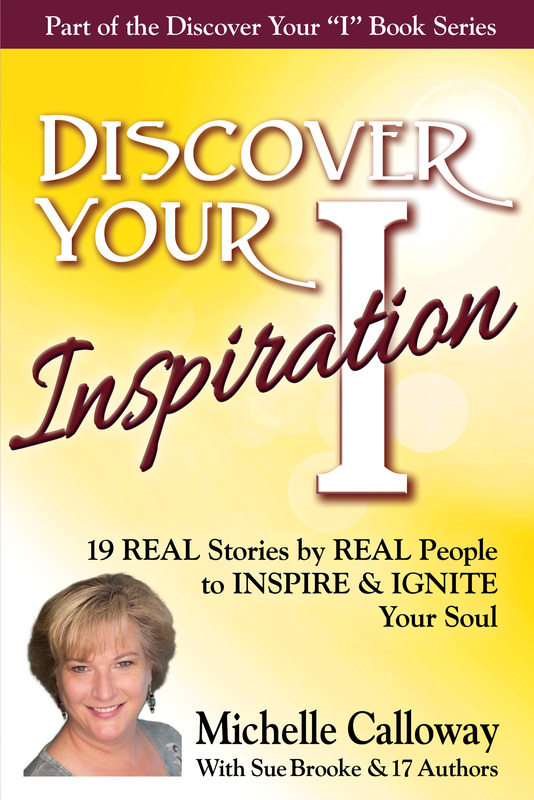 REAL stories by REAL people that will INSPIRE and IGNITE your soul! See what drives and inspires visionary Michelle Calloway, Founder and CEO of REVEALiO, a new augmented reality technology company, and 18 other entrepreneurs to success and beyond. Michelle Calloway is a visual communications expert turned visionary after she was introduced to mobile augmented reality (AR) in 2014. She moved to the bay area to launch her new startup REVEALiO, which makes (printed) cards “come alive” with video and call-to-action buttons when viewed through a mobile smart device. “Technology like this doesn’t come into a person’s life and have such a profound effect on them for no reason.” Michelle feels that she was “called” to build this business to get AR into the hands of everyone all over the globe. No better way to introduce it to the masses than through printed cards that “come alive” with a personal video message. It’s amazing, fun, and deeply impactful! Order your copy of the book today, and be encouraged and inspired to go after your dreams! 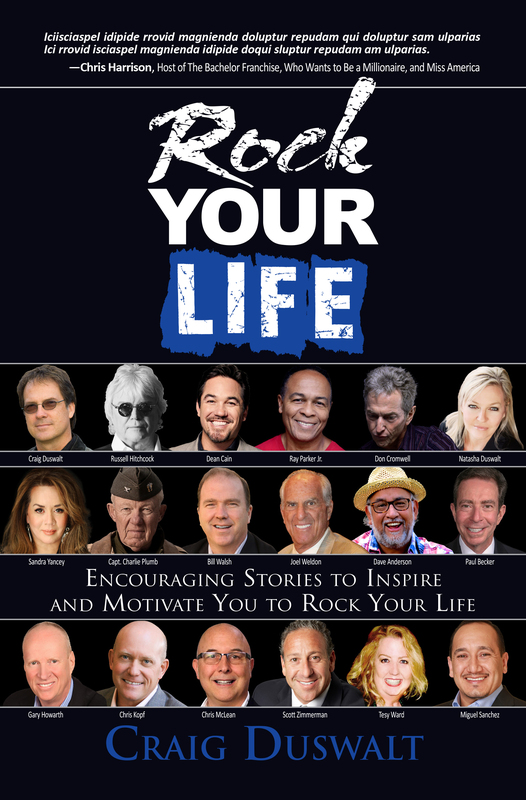 Rock Your Life is filled with amazing stories by incredible people. 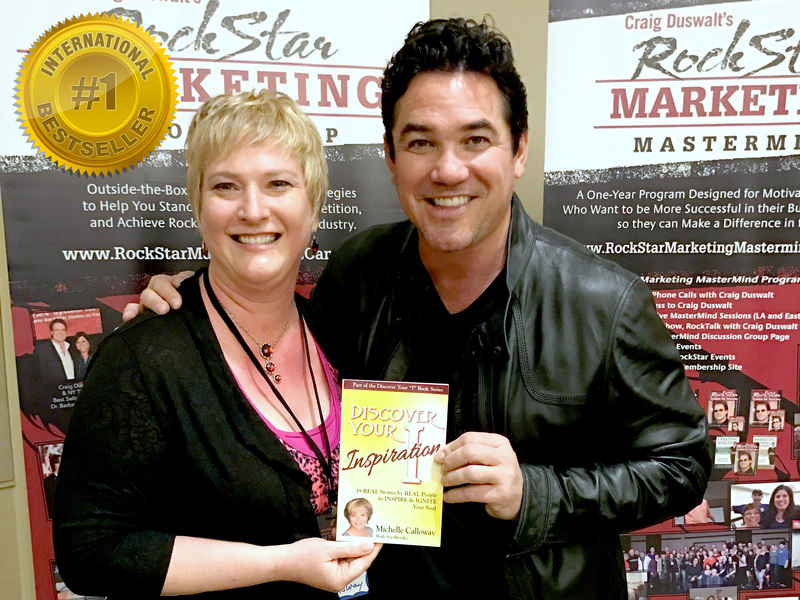 This book features an impressive lineup of “RockStars” including Craig Duswalt, keynote speaker, author, podcaster, and creator of Rockstar Marketing, and former assistant to Axl Rose, Lead singer of Gun’s N’ Roses; Russell Hitchcock, lead singer of the amazing and successful pop duo, Air Supply; Dean Cain, played Superman on the hit television show, Lois & Clark: The New Adventures of Superman; Ray Parker Jr., writer and performer of the mega-hit song, Ghostbusters; Don Cromwell, former bass player for Air Supply and Eddie Money; Natasha Duswalt, author of three books, one #1 Amazon best-selling book, and owner of a top modeling agency in Los Angeles; Sandra Yancey, Founder and CEO of the #1 Women’s Entrepreneur Conference, eWomenNetwork; Captain Charlie Plumb, former Navy Fighter Pilot and P.O.W., and Keynote Speaker; Bill Walsh, America’s Small Business Expert; Joel Weldon, Golden Gavel winner and Hall of Fame Speaker; “Famous Dave” Anderson, America’s Rib King and founder of Famous Dave’s restaurants; and RADM Paul Becker, a retired, highly decorated U.S. Naval Intelligence Officer. 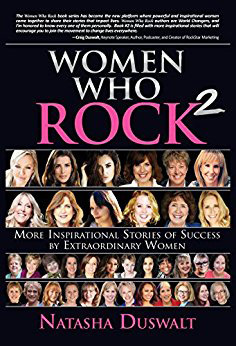 Women Who Rock was so successful, that we decided to release more amazing stories in Women Who Rock 2. In this new collaboration, Natasha Duswalt, author, speaker and founder of Peak Models & Talent, and 35 other extraordinary women, share their personal and inspirational stories of success. These empowering and uplifting stories by women from all walks of life, who have overcome challenges, solved problems, or changed their lives for the better will help you find your own inner strength, vitality and feminine spirit, and remind you to think positive, have faith, and use the power that you have within you to inspire others. Real Stories from Real Women!